I have a great puppy that I adopted from the shelter. There they told me that he was a Pit mix. However, I think he's a Great Dane/ Shepherd mix. His vet says he's a Lab/Pit mix. I would love to have his DNA tested, but I don't which company is the most accurate. Do you? My pup is 3 months old and 25 lbs! His paws are huge so I know he'll be at least 65 lbs. What breed do you see in him? He loves to play, sleep, and chew stuff, but only when I leave. He's smart and learned to sit in one day and go down in two days. He is very cute. Most DNA tests are not very accurate. They look for a dominant breed and if that cannot be identified they will go back to what breed they can connect. We had our dog DNA tested as well since the owner of her mother said she was part Newfie and part Golden. She is smaller than both breeds at only 48 pounds. Her test results came back as Lab Ret and Belgian Terv (again she is smaller than both). She looks like a small Lab, but there are other unidentified breeds in there! 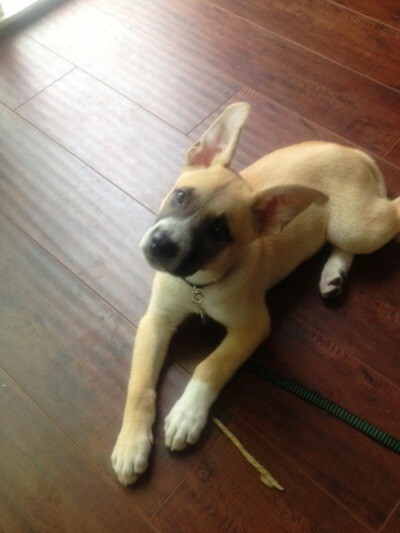 By the way, I think the ears look more Shep like than Lab or Pit. Thanks! I wish DNA tests were better. I'm so curious about him. I agree with you about his ears. I don't see any pit either. More like a cross between cute and adorable. Adorable puppy. To me she looks a lot like a Shepherd/Lab mix. Whatever her breed is doesn't really matter. As long as you love her that is what counts. Looks to me you are going to have a long and happy life with this beautiful animal. Enjoy her. 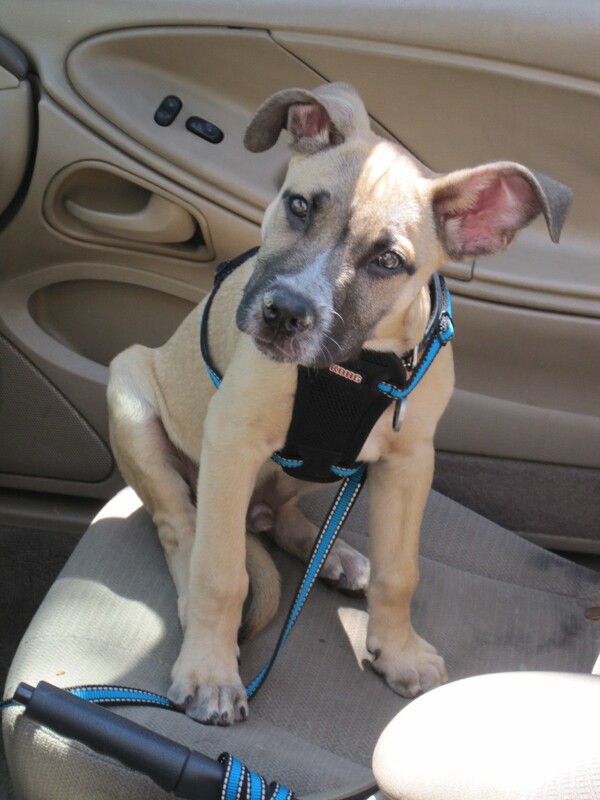 We were told our Sebastian (pictured here at 10 weeks) was a shepherd/pitt mix or a shepherd/boxer mix. . . but we really don't know! Actually your dog looks exactly like my 2 1/2 old puppy and her mom is a purebred blue nosed pitt.